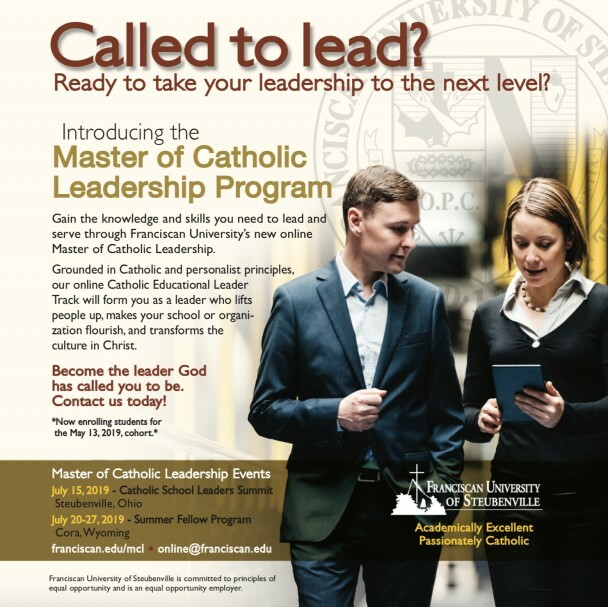 To learn more about this NEW Master's Degree Program in Catholic Leadership click here. Or call (740) 284-5239.The first cohort for this program will start May 13, 2019. It will be capped at 20 students, and there is a March 1, 2019, early deadline.